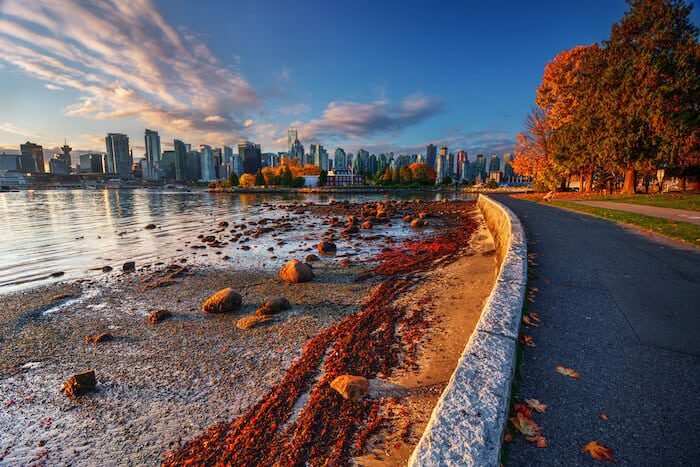 While it’s easy to say that you’ll move to Canada if things go south in your home country, Canada’s immigration system is actually quite demanding of all its applicants. Nope, that’s not a headline from The Onion. That actually happened. Most of the anxious Americans looking to relocate to the Great White North were probably disappointed to learn that Canada’s immigration system is much stricter than America’s and the Canadian citizenship application strongly favors entrepreneurs and venture capitalists. Sadly, the website crashing might say more about the quality of Canada’s immigration website than the post-election frenzy. Not only does the website look like it was designed in the early 2000s but it’s also unclear, difficult to navigate, and definitely not user-friendly. But don’t worry, we took on the painful and time-consuming process of pouring over Canada’s immigration website, doing research, and consulting with experts to save you time. 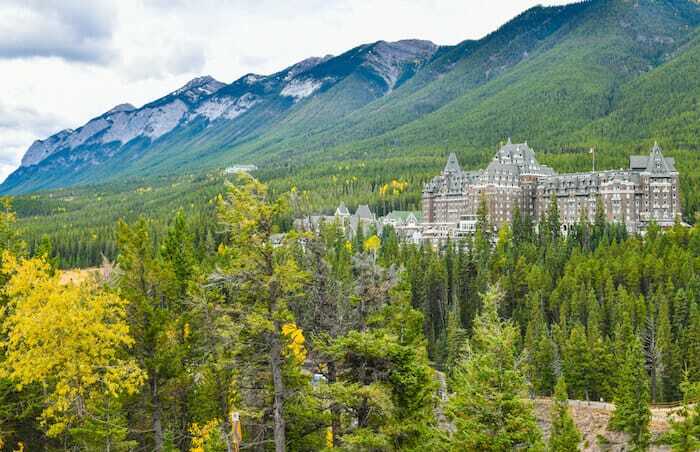 If you’re considering moving to Canada, our Ultimate Guide has got you covered. 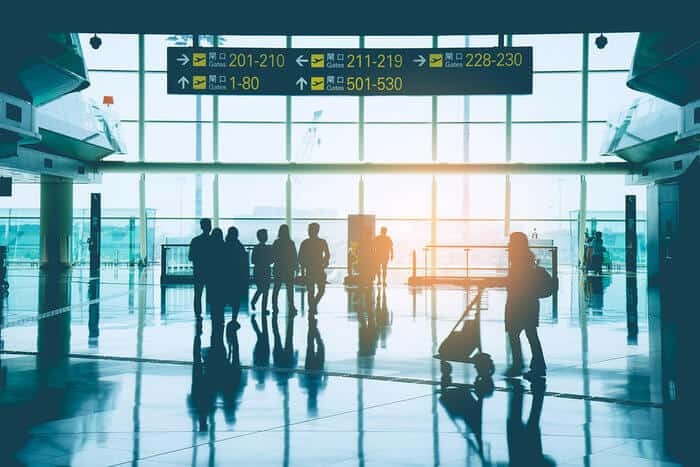 Below, we’ve explained in plain English the best immigration programs Canada offers for skilled workers, investors, and entrepreneurs, as well as Canadian citizenship requirements. We’ve also included how to apply for Canadian citizenship or permanent residency, processing times (when possible), and application requirements. Canada has a lot to offer its residents and citizens, including a powerful passport. The obvious benefit of Canadian citizenship for entrepreneurs and investors is the ability to circumvent bureaucracy and immigration red tape when pursuing business interests in Canada. For highly skilled workers, Canada also presents a robust and healthy job market. But business interests and cutting through red tape are not the only factors to consider before heading down the winding (and costly) road towards the Canadian citizenship application. The cost of living shouldn’t be the only factor you take into account either. As a Nomad Capitalist, you might be tempted to relocate to a country with low taxes and low living expenses. While that may be the best move for your bank account, it may not be the best place for you. Many zero- and low-tax countries have a low quality of life that can prove inconvenient for those from more developed countries. Thankfully, going where you’re treated best means that you can set up your bank account in a low-tax country while simultaneously establishing your personal life in a country that offers you more of what you want. Someone from Australia or the US, for example, might find life in Canada to be much more their speed. Canada has one of the most well-respected education systems, safe banking, and universal healthcare. Some may even find that moving to Canada is an improvement on their current standard of living. 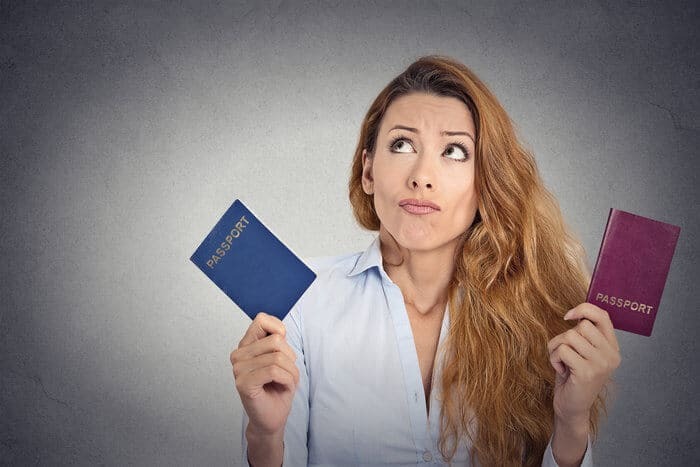 So, before we discuss the benefits of holding Canadian citizenship and how to get it, let’s take a look at the numerous different factors that could influence whether or not you actually want to become a Canadian citizen. A high quality of life is definitely one of the main reasons people apply for Canadian citizenship. But it can be difficult to figure out what the quality of life is going to be like somewhere before you actually move to the area in question. Vacationing often shows a slanted view of the country, while social media and blogs only show a city through an expert filter. Luckily, there are a few different organizations that compare hard data to rank the countries with the best quality of life (including our own Nomad Quality of Life Index). The OECD Better Life Index compares annual data to analyze the quality of life across OECD countries. On the Better Life Index, the US outranks Canada in most metrics including income, housing, and jobs. However, Canada performs better in less tangible categories like community, life satisfaction, and work-life balance, as well as in the realms of education and living environment. The difference between the quality of life in the US and Canada is minimal by most standards. In fact, on the UN Human Development Index (HDI) – which measures life expectancy, education, and standard of living – Canada and the US are tied for the #10 position. Because the quality of life is so similar, it largely depends on personal preferences and values to determine which lifestyle is better. Language skills are one of the main Canadian citizenship requirements. Canada has two official languages: French and English. Although all government forms are offered in both languages, English is more commonly spoken. According to the most recent census, 60% of Canadians speak English, while 21% speak French. The majority of French speakers are located in the province of Quebec where French is the official language. No matter where you choose to live in Canada, you’ll need to demonstrate proficiency in at least one of the two languages before you apply for Canadian citizenship, but more on that later. Americans may not want to admit it, but business freedom has been shrinking in the US. So much so that Canada has now surpassed the US in the Index of Economic Freedom. In 2018, Canada held the position of the ninth most free economy in the world and the #1 most economically free country in the Americas. And the US? The Land of the Free barely broke the top twenty list, coming in at #18. Canada ranks highly with strong government integrity, judicial effectiveness, and fiscal health. That being said, the tax burden has increased since 2015 under the leadership of Prime Minister Justin Trudeau, which has caused Canada to slip from the #7 position to #9 on the Index. The top federal income tax bracket in Canada sits at 33%, while the highest income tax rate in the US is 37%. In Canada, the corporate tax rate is 15% while, even after the recent tax reforms, the US corporate tax rate is 21%, down from 35% which was previously the highest corporate tax rate in the world. It is often assumed that US banks are a safe option, but that really isn’t the case. In the widely respected Global Finance list of the world’s safest banks, American banks hardly even register on the top 50 list – bad news for those doing business in the world’s largest economy. An American bank doesn’t appear on the list until spot #36. And, even then, it’s a local, wholesale bank, only for agribusiness. Conversely, Canadian banks debut at #19 with TD Bank, making Canada home to the safest banks in the Americas. Canadian students seriously outperform American students on standardized tests. One might assume that the decentralization causes wildly different educational outcomes across regions, ethnic groups, and socioeconomic classes, but this is not the case. Results are consistent across the board, even for foreign-born children. One of the reasons Canada usually ranks highly for quality of life is its healthcare system, known as Medicare. US News gave Canada a score of 9.9 out of 10 for healthcare. Canada is often extolled for its system of universal healthcare, but not all agree that this is a strong selling point for life in Canada. While the taxpayer-funded healthcare system provides services to all Canadians, regardless of income level, it also leads to long wait times for procedures and in doctors’ offices. As a Canadian citizen, you won’t often have to shell out for a co-pay, but you don’t have the option to purchase private insurance either (even if you want it) unless the services you need aren’t covered by Medicare. While some complain of the tax burden presented by Medicare, Canada has lower healthcare costs per capita than the US, as well as lower rates of infant mortality, obesity, and amendable deaths. Both Canadian permanent residents and citizen are able to utilize the public healthcare system, so this is something to consider before you decide to apply for Canadian citizenship. Although citizens of Japan and Singapore hold the strongest passports in the world, holding a Canadian passport still has plenty of benefits. 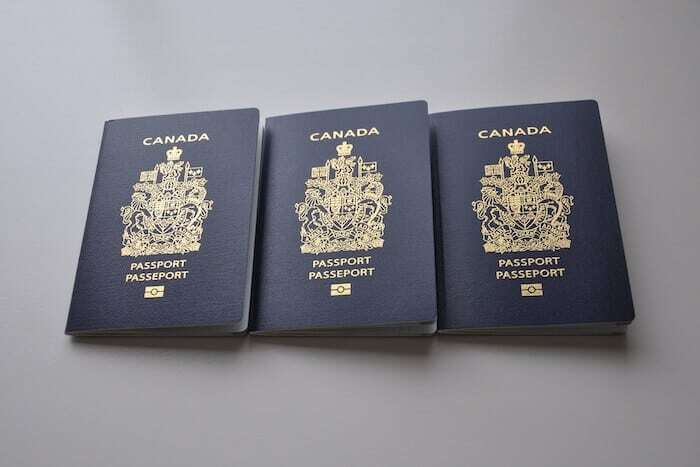 In 2018, Canada had the fifth strongest passport in the world, tied with Switzerland, Ireland, and others. Canadian passport holders are able to travel visa-free to 185 countries. Canada does fall behind the US and the UK; Americans and UK passport holders are able to travel visa-free to 186 countries. Consular services for traveling citizens aren’t always what they’re cracked up to be. If you find yourself in a difficult situation while traveling, Canada claims to offer 24/7 support for Canadian travelers in need through 260 consulates and points of service in 150 countries. However, they warn that consular services may be “less available” in the event of a natural disaster, violent upheaval, or political unrest. But they do offer a Twitter hashtag, #HelpingCanadianTravellers, which should be pretty helpful if you get caught in a flash flood or war zone. There are five main steps to obtaining Canadian citizenship. Once you decide that Canada is the place for you, you will need to follow the five main steps towards Canadian citizenship: permanent residency, naturalization, the Canadian citizenship application, the Canadian citizenship test, and the citizenship ceremony. The first step before you apply for Canadian citizenship is to obtain permanent residency. This will probably be the most difficult part of the Canadian citizenship application. Below, we will examine the best strategies for permanent residency. Many of these programs have stipulations attached to them – for instance, running a successful business for a number of years. If you fail to meet these stipulations, you will not be able to apply for Canadian citizenship. Naturalization is one of the main Canadian citizenship requirements. In order to become a naturalized citizen, you must have been present in Canada for 1095 days total in the previous five years. The days can be non-consecutive and there are no specific requirements per year. Time spent in Canada on a temporary basis (i.e. as a student, visitor, or refuge), can be used towards the Canadian citizenship requirements. However, each day spent in Canada on a temporary basis only counts as a half day. You can earn a max of 365 days this way. In addition, you will need to prove that you have properly filed income tax in line with Canadian law before being able to take the citizenship test and receive the Canadian citizenship certificate. The Canadian citizenship application can be downloaded from their website, filled out, then printed. You will have to attach all forms, supporting documents, and proof that you paid the application fee of CAD $630. Your application must be physically mailed into the appropriate office, after which time it usually takes 12 months for the application to be processed. If you are deemed eligible, you might be invited to an interview with an immigration official to go over your Canadian citizenship application and determine your level of language proficiency. If your application is carried forward to the next stage, you will be assigned a time and date to take the Canadian citizenship test, which is a written test that determines how much you know about Canadian geography, culture, history, and government. If you fail the test you may take it again. If you fail again, you may have a citizenship interview instead. If you pass the Canadian citizenship test, you’ll be assigned a date to attend a citizenship ceremony. At the ceremony, you’ll officially become a Canadian citizen after you take the Oath of Citizenship, sing the national anthem, and receive your Canadian citizenship certificate. While demanding, there are numerous pathways toward permanent residence in Canada. As stated, the most difficult step in the entire Canadian citizenship process is the first: obtaining permanent residence in Canada. Canada has a rather strict immigration system. Each year, the Canadian government only allows around 300,000 individuals to permanently relocate to the country. Immigrants are allowed into the country under three main conditions: family reunification, humanitarian considerations, and economic immigration. The majority of immigrants qualify under the third option via Canada’s numerous economic immigration programs. Most of these immigrants are highly skilled workers or business people and they often have some serious money in the bank. In 2018, the Canadian government plans to admit 310,000 immigrants, of which, 172,500 will be admitted for economic purposes. Don’t be intimidated by this small number. Although Canada has stringent caps on immigration, they strongly favor those with a history of economic excellence. Most economic immigration applicants will apply through Express Entry, Canada’s system for managing immigration applications. This system is specifically set up to handle applications for the Federal Skilled Worker, Canadian Experience Class, and Federal Skilled Trades routes. For most permanent residency applications, you must first fill out an Express Entry profile. This portion of the application is free. Your points will then be calculated based on the information shared in your profile. You will not use Express Entry when applying for citizenship or if you are applying for permanent residence as an investor or entrepreneur. It also does not apply if you are planning on immigrating to Quebec, as Quebec has different requirements and does not use the Express Entry system. For skilled workers, your immigration potential is based on a points system, also known as the Comprehensive Ranking System (CRS). You must reach a total of at least 67 points out of 100 in order to be considered for immigration to Canada as a skilled worker. Attaining 67 points, however, does not guarantee that you will be offered permanent residency. Instead, every two weeks, the candidates with the highest scores will be invited to apply for permanent residency. In order to immigrate to Canada, no matter which program, you must take a language test to prove you speak English or French fluently. The test will measure your ability to speak, write, read, and listen to English or French. There are a number of factors that might prevent you from being permitted to immigrate to Canada. Some of the factors that may bar your from the application process include criminal history, involvement with organized crime, serious health problems, or human rights violations. If you have a family member who is not allowed to enter Canada, you may also be barred from the immigration process. If you are willing to invest high sums, you may be one of the lucky ones granted Canadian permanent residence. It may not be easy to get permanent residency in Canada, but the federal government does offer one pathway for high-value investors willing to invest at least $2 million in a government-controlled venture capital fund. I’m not going to lie to you, the application process can be time-consuming, expensive, and long, but I’ve broken it down into a few easy steps. Canada has a separate application for investors called the Immigrant Investor Venture Capital (IIVC) Pilot Program. This investment program is separate from the popular Quebec Immigrant Investor visa, which we’ll discuss later. For this program, you must be planning on moving to a province other than Quebec. The program is competitive, but let’s take a look at some of the basic eligibility requirements. In order to be eligible for this program, you must have a personal net worth of CAD $10 million. If you inherited your money, you are not eligible for this visa; your net worth must have been acquired through private sector business activity and/or investments. If your application is selected to move forward after the initial round of screenings, you will be asked to submit independent verification of your wealth and its source. In order to do so, you must obtain a due diligence report from one of Canada’s chosen providers. In addition to determining the source of your wealth, the report will also indicate if there are any potential issues for the IRCC to investigate further. Because having $10 million to offer the Canadian economy isn’t enough, there are still education requirements for this visa. You must have completed a post-secondary degree in Canada or hold a year-long certificate. If you completed the same level of education in a country other than Canada, you may still be eligible, but you will have to obtain an Educational Credential Assessment (ECA), verifying your level of education and educational outcomes. Again, this is a competitive program, so the higher your level of education, the better you’ll fare. Look at the above-listed points system to get a better feel for how your education will impact your application. There is a loophole to the educational requirement. If you can prove that you hold a net worth of over CAD 50 million, acquired through private, lawful business and/or investment practices, you may be exempt from this requirement. To request an exemption, you’ll have to request the appropriate form from the IRCC, fill it out, and attach it to your application. As mentioned, in order to obtain the IIVC visa, you must be willing to part with $2 million CAD. The final stage in the visa process will be making an at-risk investment of CAD $2 million. This money goes into the Immigrant Investor Venture Capital (IIVC) Fund. The IIVC Fund functions pretty much like any other venture capital fund; any proceeds can be received over time or when the investment term has ended. However, you are unable to remove your funds for about 15 years and the Canadian government makes no guarantees that any or all of your investment will be returned to you. BDC Capital, the investment branch of the Business Development Bank of Canada, along with five chosen fund managers, will coordinate investments into Canadian startups. These young companies must be located outside of Quebec and show high growth potential, as well as a strong potential for innovating life in Canada. Once you determine your eligibility, you will need to print out and mail in an application package. The application will require you to physically attach supporting documents, including verification of language skills, education, and personal net worth, as well as police certificates and the results of a medical exam. If you have met all of the requirements and your application is moved along to the next phase, you will be contacted by the immigration office with further instructions. You may be required to send in additional documents or attend an interview. If your application is approved after this step, you will be asked to send in your passport so that the immigration office can issue you a Confirmation of Permanent Residence (COPR) and entry visa (if needed). 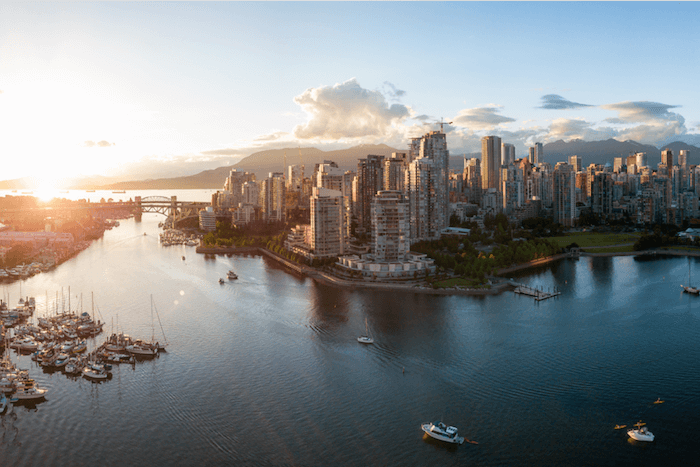 Depending on where you want to live in Canada, you may have more permanent residence programs available to you with more favorable application conditions. The Quebec Immigrant Investor Program (QIIP) is similar to the IIVC Pilot Program. QIIP is the more popular program of the two because it has fewer requirements and calls for a smaller investment. However, the quota is very small and is hit quickly. Last year, Quebec had a quota of 1,900. If your QIIP application is accepted, you will receive a Quebec Selection Certificate (CSQ) allowing you to apply for permanent residency status from the Canadian federal government. For the 2018 round of applications, the net worth and investment requirements have increased, reflecting the popularity and competitiveness of this program. You must hold a net worth of CAD $2 million between yourself and your spouse. You will also be required to make an interest-free investment of CAD $1.2 million. If the idea of handing $2 million over to the government with no guarantee makes you cringe, QIIP might be a better option for you. Unlike the IIVC program, your initial investment will be guaranteed and paid back to you at the end of 5.5 years. You will not receive the interest on your investment because the interest is used to cover brokerage fees and to grant 0% interest loans to small businesses. The interest can also go towards other immigration programs or is used to sponsor refugees. Unlike IIVC, you need to have a proven record of management experience. In order to demonstrate your management experience, you must have been a shareholder in a private company for at least two out of the five years prior to applying, or have held a management role in the same time period. Over the years, there have been many complaints that wealthy immigrants entering through QIIP do not stay in Quebec. Recent reports estimate that 46,000 wealthy immigrants entered the housing market in other provinces via QIIP in the past three decades. 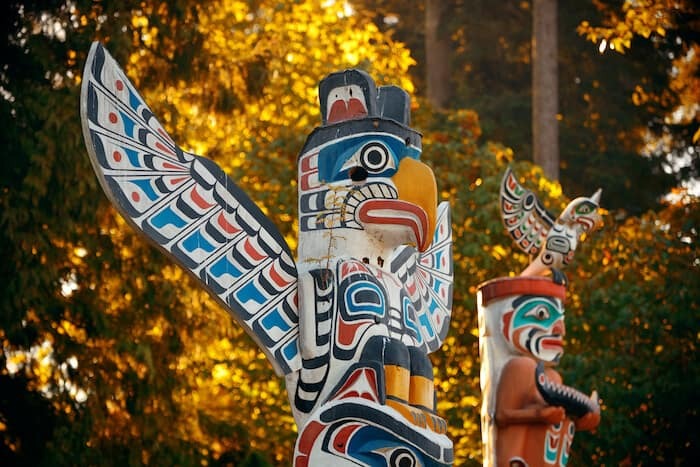 These immigrants have been held responsible, in part, for soaring home prices in Vancouver and Toronto. 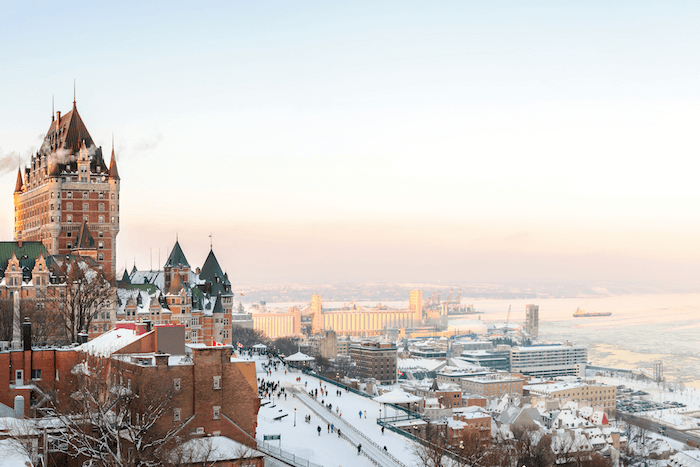 One of the changes made to this year’s QIIP application process will be to try to ensure that successful applicants will actually stay in Quebec. Candidates who might relocate to other parts of Canada will likely be rejected. For example, if you have family living outside of Quebec, own real estate outside of Quebec, or have a child attending school in another province, you may be rejected. Additionally, if you have visited Canada before, but never Quebec, your application may be flagged. While the federal investment program will take your education into account, QIIP doesn’t have strict regulations for education and language. However, the application process is very competitive, so you can assume that your level of education, language skills, and age will be taken into consideration when you apply. You will have to download the application as a PDF and fill it out on your computer. Once you fill out the application and print it out, you will need to physically attach a number of documents to your application including the due diligence report, language assessments, and educational certificates. You may also need to include declaration forms if you are married or you are a doctor, a teacher, or you practice a regulated profession. There are dozens of regulated professions including lawyer, veterinarian, counselor, etc.. In addition, you must write a “narrative document.” The narrative document is meant to explain how you acquired your funds. If you share funds/assets with your spouse, your spouse will also have to complete a narrative document. If English or French is not your mother tongue, you must write the narrative in your own language and have it translated by an accredited translator. All information provided will be verified by the immigration office. If any information is found to be untrue, you will be fined, your application will be rejected, and you will be barred from applying again for at least five years. You will also need to provide proof that you have paid the application fees. Considering the application process is very competitive and comes with no guarantees, the fee is pretty steep. As of January 2018, the application fee is CAD $15,235. Your entire application, including all supporting documents, will need to be mailed into the Ministère de l’Immigration, de la Diversité et de l’Inclusion in Montreal. You cannot hand in the application in person or submit it online. You must mail it in. If your application passes the preliminary round, you will be invited for an interview. During the interview, the immigration official will try to confirm the accuracy of the information submitted. He or she will also ask about your management experience and how you acquired your net worth. Because of concerns over QIIP immigrants leaving Quebec, he or she will also try to determine whether you actually intend on making Quebec your home. If you are approved to become a permanent resident through QIIP, Quebec will send you a Quebec Selection Certificate (CSQ). This certificate does not yet make you a permanent resident of Canada. You will need to use the certificate to lodge an application for permanent residency with the federal government. New applications will open on August 15, 2018. Since there are strict quotas for this program, it is recommended that you submit your application as soon as humanly possible. In the past, applicants with an advanced level of French were given priority processing and were even exempt from the quota. Which country you are applying from and how many other people applied in the given year will also affect processing times. In previous years, it has taken up to 60 months for a candidate’s application to be processed through QIIP. After your application is processed by Quebec and if you are accepted, you will still need to apply through the federal government for permanent residency. The current waiting time to receive permanent residency through QIIP is 45 months. Entrepreneurs with something to offer to the Canadian economy can get Canadian citizenship in exchange for their entrepreneurial assets. There’s no question that the investor programs are costly and take an incredibly long time. They also call for a large sum of cash upfront. For some, the entrepreneur immigration programs may be a little bit more feasible. In fact, the federal entrepreneur immigration program is specifically geared toward start-ups. The Start-Up visa targets skilled entrepreneurs with the ability to bring innovation, jobs, and international competitiveness to Canada. This is a federal program, which means that you must be planning on moving to a province other than Quebec. In order to be eligible for this visa, your business must be determined to be able to bring innovation to Canada, while employing Canadian citizens and helping Canada to compete in the international arena. Additionally, you must prove that you own at least a 10% voting share in said business. If your business is relocating to Canada, you may be applying at the same time as the other owners. Between yourself and the applicants, you must hold more than 50% of the voting rights. You should note that a maximum of five people can apply as owners. You can’t just move your start-up to Canada and hope to get funding. You must first receive the support of a Canadian organization designated by the government. Canada provides a list of approved venture capital funds, angel investor groups, and business incubators. You should submit proposals to a number of the few dozen organizations listed. You may be invited by one of these groups to come to Canada to present your business concept in person. After one of the organizations has agreed to support you, you will need to obtain a Letter of Support from them to be included in your application. Venture capital funds must be willing to invest a minimum of CAD $200,000 in your business. Angel investor groups should commit to investing at least CAD $75,000. 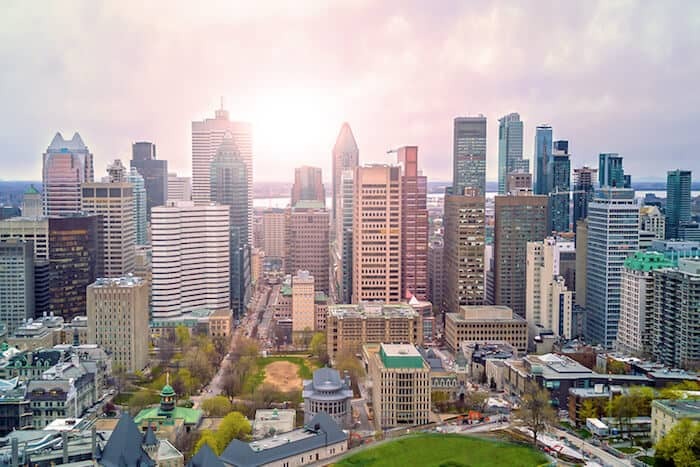 To prove that you can successfully do business in Canada, you must take a language test from an approved agency to prove proficiency in English or French. You must be able to prove proficiency in speaking, reading, writing, and listening to one of the two official languages. For the Start-Up visa, there is no way to circumvent the language requirement. As a Start-Up visa recipient, the Canadian government will not offer you financial assistance. Before being approved for the program, you must demonstrate that you have the financial resources to take care of yourself and family while in Canada. This has to be your personal money, not borrowed from anyone else. The requirements are hardly astronomical. For a single person, you need to demonstrate that you have access to CAD $12,475 of funds. For a family of four, this number is CAD $23,181, as of 2018. Keep in mind that the Canadian government changes these rates every year. To apply, you will need to download the application package as a PDF, then fill it out on your computer. After you have filled out the application, you will have to go online to validate the “Generic Application Form for Canada.” This is pretty easy. You just go online, click the validate button, and print everything out. After signing and attaching your documents, you can mail in your application to the Centralized Intake Office in Sydney, Nova Scotia. You will also need to include the application fee. The cost of the application, including the permanent residence fee, is CAD $1,540. If you would like to include your spouse or partner for the visa and permanent residency, there is an additional CAD $1,040 fee. Any dependent children will be an additional CAD $150 each. If your application is not approved or you decide not to come to Canada, the portion of the fee you paid towards permanent residency will be returned to you. You may be contacted to submit more supporting documents. If your application is approved, you’ll be granted permanent residency and a travel visa (if needed) by the Canadian federal government. The Quebec Entrepreneur Program, conversely, is more targeted towards established business people, rather than start-ups. It’s also incredibly competitive with strict quotas. In the 2016-2017 round of applications, Quebec set a max quota of 50 accepted applications for this program. Not only are their quotas for accepted applications, but there are also caps on the number of applications accepted. In the 2017-2018 round of applications, only 5,000 applications across ALL business immigration programs were allowed to be lodged. The next round of applications for this program opens August 15, 2018, so you should be prepared to submit your application as soon as possible. Between you and your spouse, you must be able to prove that you hold net assets of at least CAD $300,000. Although purchasing an existing business in Quebec is an option, the Quebecois government is not willing to let anyone with a couple million dollars immigrate to their province. For the application, you need to be able to demonstrate successful business management experience. You must have spent at least two years in the previous five years running a profitable business that you held at least 25% of the capital equity with a value of at least CAD $100,000 between yourself and your spouse. The government of Quebec defines running a business as holding “responsibilities and duties related to the planning, management, and control of material, financial and human resources” on a full-time basis. The longer you held this management position, the more points you will be awarded on your application. Whether you establish a new business or purchase an existing one, you must hold at least a 25% share of capital equity between yourself and your spouse. You will also need to prove that you intend to participate in the daily management of the business. While there aren’t super strict regulations for who can apply, the application is extremely rigorous. That means factors like age, assets & asset acquisition, language ability, education, knowledge of Quebec, and personal qualities will come under harsh scrutiny. The application does require you to declare language skills in French and/or English. In order to receive points for your language skills, you will need to take an exam in one of the official languages and attach your result to your application. If you are proficient in both English and French, you should take exams for both languages. The first step in the application process is to download, fill out, and print the application form, including the entrepreneur appendix which asks you to declare your entrepreneurial experience and assets. You must then attach supporting documents including language exam results, narrative document, and the financial self-sufficiency contract. This contract basically assures the government that you will be able to take care of your own housing and living expenses as well as those of your spouse and any dependent children. Once all forms, pictures, supporting documents, passport copies, etc. are filled out, you will mail in your application. You must also pay the application fee by filling out a payment by credit card form and mailing that form in with your application. The fee for this application is CAD $1,062, plus CAD $168 for your spouse and each dependent child. If your application passes the initial round, you will be invited for an hour and a half long interview with an immigration official. After the interview, you will be informed of any additional steps you must take to complete the application process or your application will be rejected. It is also possible that your application will be put on hold for 90 days while you collect further documents. If your application is accepted, you will receive the Certificat de sélection du Québec (CSQ) by mail. The CSQ allows you to apply for permanent residency from the Canadian federal government. Only when you receive permanent residency from the Canadian government will you be legally allowed to live in Canada. You may also be able to qualify for permanent residence if you have a highly valued skill to offer the Canadian economy. Canada’s immigration system is mainly designed to bring highly skilled entrepreneurs, investors, and workers into the Canadian economy. That means that, even if you don’t have $2 million to invest or a great start-up idea to innovate life in Canada, if you have a skill the government has determined could benefit the economy, there is a pathway open to permanent residency and later citizenship. If you are applying as a skilled worker you will need to apply through Express Entry and attain the 67 out of 100 points necessary. You will receive points mostly based on language, age, education, and experience. You can achieve a maximum of 24 points if you speak one of the official languages, or 28 points if you can prove fluency in both. You only need to prove that you speak one fluently in order to be considered for permanent residency; however, it will bolster your application if you successfully test for both English and French. You will also receive points for your level of education. You can only achieve the maximum of 25 points if you hold a Ph.D. The lowest score you can achieve is 5, which you would receive for completing high school. There may be more specific educational requirements for individual streams and visa programs. Skilled workers can receive up to 15 points for prior work experience in approved occupations. In order to achieve the maximum of 15 points, you must have 6 or more years of work experience. You can receive 13 points for four to five years of work experience in a given, approved occupation. Two points are deducted from your overall score for each year less than four you have worked. You can receive a minimum of 9 points for one year of applicable experience. The government is able to restrict immigration from certain occupations based on the needs of the Canadian economy. This is to prevent labor surpluses that might edge Canadian citizens out of the job market. You may be awarded an additional 10 points if you already have an offer for a permanent job in Canada at the time of applying. In order to receive the points, the job offer must be confirmed by the Human Resources and Skills Development of Canada and have been received before applying to come to Canada. You can also receive points for your age. Those between the ages of 18 and 35, will receive 12 points. Others will lose 1 points for each year they are older than 35. Those who are 47 or older or below 18 will receive no points. Applicants can be awarded up to 15 points for their spouse’s education, language, and work experience. You can also receive 5 points if you or your spouse has a relative legally living in Canada. The relative must be a parent, child, uncle or aunt, niece or nephew, grandparent, grandchild, or sibling. After you apply through Express Entry or on paper, you will have to submit an application through Immigration, Refugees and Citizenship Canada (IRCC). If you had to apply through Express Entry, you will have to wait for IRCC to extend an invitation for you to apply. To apply, you will first have to fill out an Express Entry profile. If you are found to meet the criteria after making an Express Entry profile, you may be invited to apply for permanent residency. You will lodge an application online, submit all supporting documents electronically, and pay fees online via credit or debit card. If you are found to be eligible, an immigration official will contact you to discuss the next steps in your application process. Another option for permanent residency for skilled workers and business people is through the Provincial Nominee Program (PNP). Each province has its own immigration streams that target either students, skilled workers, or business people, depending on the needs of their economy. You will have to check the website of each province to get more specific information on what they are looking for. Depending on the nomination you receive, you may still need to apply through Express Entry, which means you must still attain the necessary points as described above. The first step of the process is to apply directly to the province you hope to move to. You can apply to one province per application you submit. Based on your skills and chosen stream, the province may extend a nomination and request that you apply either via Express Entry or on paper. Unsurprisingly, paper applications take much longer to process than Express Entry. Average wait times per stream through Express Entry are not yet available because it is a new system, but most applications will be processed within 6 months. Quebec also has a program meant to attract highly skilled and educated workers to Montreal and other cities. 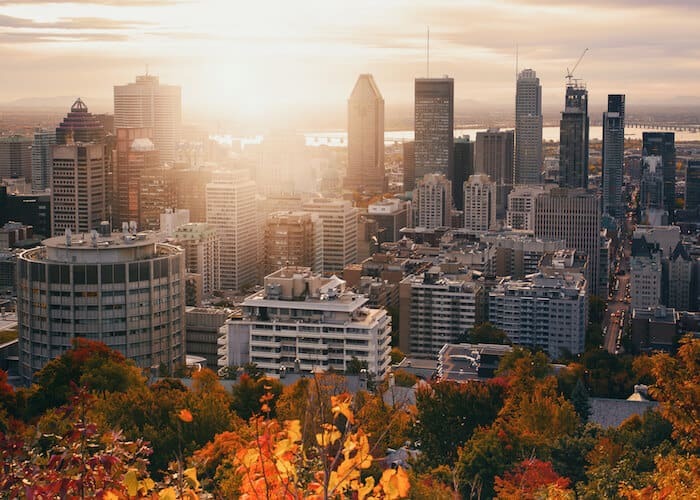 Like the other Quebecois programs, the application process is competitive and will result in being granted the CSQ, which you will then have to use to apply for permanent residency through the federal government. Applications just at the federal level, not including the initial application, take an average of 16 months to process. Quebec also utilizes a point system to determine eligibility, but their point system is separate from that of the federal government. The point system is designed to determine which applicants will be the most economically successful in Quebec while contributing the most to the local economy. In order to be accepted, you must score 50 points if you are single or 59 points if you are applying with a spouse or common-law partner. You can gain points in a number of categories including education, work experience, employment offer, age, language, family in Quebec, financial self-sufficiency, and more. Like the FSW program, applications can be submitted online. You will use the Mon projet Québec platform to do so. The online application will help immigration officials determine your eligibility and whether your skills can benefit their economy. If you are found eligible you will be contacted with a personalized list of documents you must submit by mail. You will also have to declare if you are being represented by an attorney and send that form in as well. If you are accepted, you will be issued the CSQ, which you can then use to apply for permanent residency in Canada. If you have connections to Canada through your ancestors or your spouse, you may qualify for Canadian citizenship. If you’re wondering how to get Canadian citizenship quickly, citizenship by descent is the fastest and easiest route. You’ll also be able to circumvent some of the Canadian citizenship requirements. 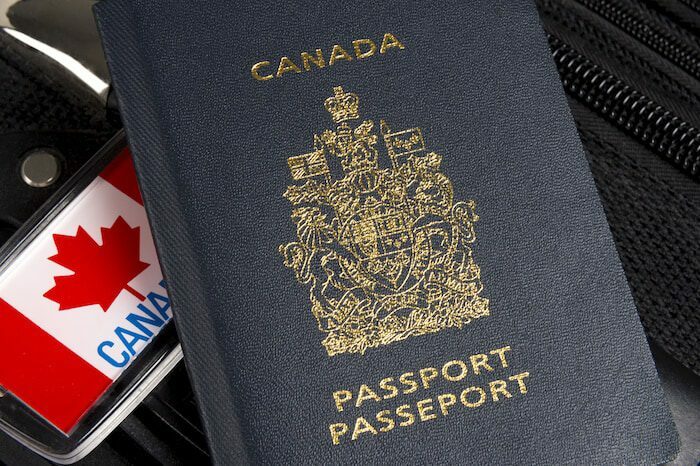 If you were born outside of Canada, but one of your parents was born in Canada or became a naturalized citizen, you are entitled to Canadian citizenship. You are still entitled to citizenship even if your parents live outside of Canada or if you have never visited. For those born before 2009, it is also possible to receive Canadian citizenship if one of your grandparents was a Canadian citizen. While the law changed in 2009, the change is not retroactive, so if you were born before 2009 you can still apply for Canadian citizenship by descent if one of your grandparents was a Canadian citizen. You may even still be able to claim Canadian citizenship if your ancestors were born in Canada even a few generations back. The first step in becoming a Canadian citizen by descent is to apply for a Canadian citizenship certificate. In order to obtain it, you’ll have to submit a paper application, which can be printed from your computer, with certified documents copies and pictures attached. Documents not in English or French must be translated and submitted with an attached affidavit from the translator. Copies of documents must be certified by a notary public. After you have finished filling out the application, you then must pay the $75 CAD application fee online. When you mail in your completed application with documents and photos, you must also include a receipt proving that you paid the application fee. The current processing time for the Canadian citizenship certificate is five months. Under Canadian law, if you apply for citizenship by descent, you are applying to prove that you are already a Canadian citizen, as such, you will not need to take the Canadian citizenship test. Sadly, citizenship by marriage is not an answer for how to get Canadian citizenship quickly. Unlike the US, Canada does not have a special path to citizenship for those married to Canadian citizens. If you marry a Canadian citizen, you must follow the same process as any other person and fill out the same Canadian citizenship application. However, there are some cases in which your spouse can sponsor you for permanent residency. By agreeing to sponsor you, your sponsor must promise the Canadian government that they will give you financial support and cover your basic needs. The Canadian government takes sponsorship very seriously. If an individual fails to cover the basic needs and expenses of someone they sponsor, the sponsor will owe the Canadian government for any assistance their sponsoree receives. If the relationship ends, your sponsor is still legally obliged to cover your expenses and needs. If your spouse is still willing to sponsor you for permanent residency knowing the financial obligations, they must apply to be a sponsor via a paper application. You will also need to submit a “Generic Application Form” with documents and photos. Not only will you need to complete a medical exam, but so will the closest members of your family, even if they do not intend to move to Canada with you. After submitting your application you and your family members will receive instructions from the Canadian government on how to complete the medical exam, which must be done within 30 days of receiving instructions. If you intend to work in Canada while you wait on your permanent residency application, you will have to apply for an open work permit under the Spouse or Common-Law Partner in Canada class. You can submit your application for an open work permit at the same time as your permanent residency application, or anytime afterward. Work permits for spouses and common-law partners usually take four months. The fee to sponsor a spouse or partner is CAD $1040. Canada’s passport is highly desirable not only for the visa-free access it provides but for the respect Canada receives from countries all around the world. 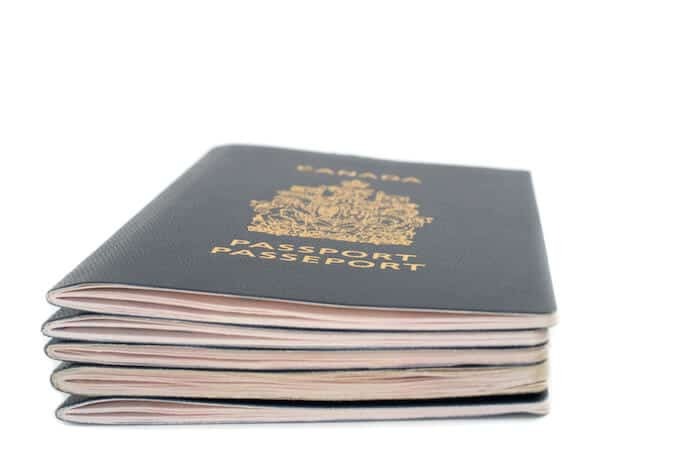 Getting a Canadian passport is one of the main reasons people seek Canadian citizenship. After your citizenship ceremony, you’ll have to wait two business days before you can apply for a passport. You must first download the application form, fill it out on your computer, print it, and then attach all supporting documents, including your citizenship certificate. From there, you must find a guarantor who is a Canadian citizen and passport holder who has known you for more than two years. They will be required to sign your application, supporting identity documents, and one of your passport photos. You will also need to include the names of two references. Reference cannot be family members. You will have to pay the fees before submitting the application. The passport fee for applying within Canada is CAD $160. You can also pay in person if you are dropping your application off in person. If you submitted your application via mail, you will receive your passport by post. If you submitted in person you will be notified when it is ready and must go pick it up. Does Canada Allow Dual Citizenship? Canada does allow dual citizenship. However, if you have lived abroad for more than five years, you will lose the privilege of voting in federal elections. The entire citizenship process, from applying for permanent residency to taking the Canadian citizenship test is going to be long and arduous. It could take many years before you’re approved for Canadian citizenship. But if you have significant business interests in Canada, being able to do business as a citizen will end up saving you plenty of time and money in the long run. If the process for receiving Canadian citizenships seems intimidating, don’t despair. Dual citizenship is well worth the effort and the right help can save you considerable time and frustration. Jovana is our lead R&D Associate at Nomad Capitalist. Her full-time job is to scour our global network to identify new banking, immigration, and lifestyle options for our clients. As a Canadian citizen and prior Canadian resident, I can say that a Canadian passport is very nice to have while traveling. Not only are there many visa free countries available for travel, but Canadians enjoy a stellar reputation abroad, and I have even found it easy to qualify for mortgages abroad thanks to my passport. However, the quality of living (at least for me personally) is very poor. Every part of the country is either freezing cold or in a constant downpour (Vancouver), and both the government and general mentality extremely socialist. Anyone who is even mildly successful is resented, and tax rates are some of the highest in the world (federal income tax may be 33%, but including provincial tax rates are around 58.5% in Ontario, for instance). Canadian residency means tax on worldwide income. While banks are safe on paper, they will freeze your accounts at the drop of a hat and with no warning…this happened to me many times, through no fault of my own. Finally, the healthcare involves excessive wait times, as mentioned in the article. Emergency room treatment is typically six hours behind, and major surgery 6-24 months. Overall, a Canadian passport is great to have, but I would carefully consider whether one truly wants to be a resident of this country.